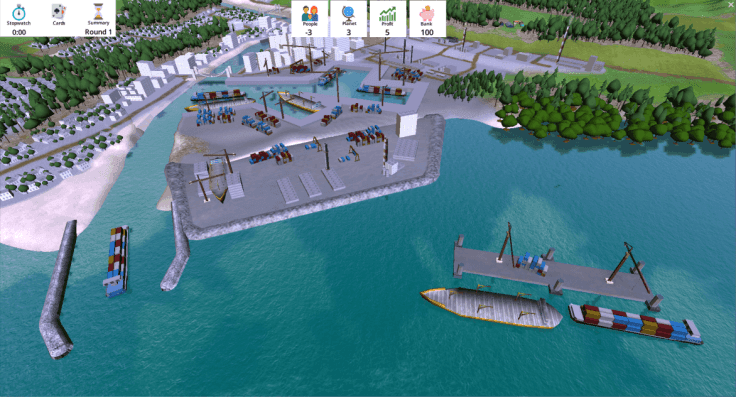 Developed by Deltares, the Port of the Future Serious Game aims at raising awareness for the current policy-making challenges of ports, so as to support the port stakeholders in achieving sustainable development. The game applies a fictional but realistic environment, autonomous scenarios, a set of measures and a qualitative set of indicators that provide information on the effects for society, natural environment and economy. By introducing real-world challenges associated with port development and going through a decision making process for selecting sustainable measures, the stakeholders can experience aspects of sustainable port development first hand through the serious game. TWA Water Hub | Indonesia is collaborating with Deltares to bring the game to Indonesia for the first time. Coinciding with the Port Academy program, Deltares will introduce the game to a diverse group of Indonesian port experts and young professionals on 21 March 2019 in Surabaya. ​Participation ​​Companies and organisations interested to learn more about the Port of the Future Serious Game are invited to contact us.